Early experiences I was fortunate to be appointed to deal with one of the first arbitrations in this jurisdiction and have worked hard since then to create an efficient process that will meet the needs of clients and those representing them. In that first arbitration, we operated by meeting and also conference call and further managed costs by papers-only submissions rather than a hearing. 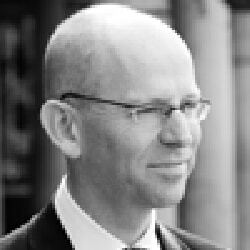 Since then I have been involved in a further dozen arbitrations – as the solicitor acting for one party or as the arbitrator, mostly “papers” only and creating significant savings for clients in terms of stress, time and cost. I was one of the conducting solicitors on the case (S v S  EWHC 7), which saw the President giving a strong endorsement to the process. The arbitral option I too am an enthusiast. I believe that the circumstances will be rare where arbitration does not offer an easier, safer, faster and more cost effective process towards an outcome that is more likely to feel satisfactory for the clients. It has the same potential of flexibility, speed and efficiency as mediation and collaborative processes, but unlike those processes, it will impose an outcome where none is agreed. So it is particularly valuable where there are concerns that agreement may be impossible to secure but the court process seems too slow or expensive to be a realistic option. Obvious candidates therefore where arbitration should be the default are maintenance variation cases, ‘schedule 1’ matters and cases where the assets risk being eroded significantly through the traditional court approach. My background I aim to bring my skills in the law, as a mediator and as a collaborative lawyer to help couples recognise how to address issues and see the sense of the solution imposed. I have found the process works well with represented and unrepresented parties and conduct cases from my offices in Covent Garden, London or at appropriate venues that are convenient for the parties and their solicitors. I see cases completing in time-frames that are appropriate for clients and their advisors, but usually between two and six months from first meeting to providing an award. Costs will usually be in the range of £3-5,000 plus vat. In 2015, I was able to complete one case for £900 plus vat. First steps I am pleased to talk to anyone (on a no-fee and no-obligation basis) about the process. Where case-specific discussions are needed then I would have such discussions with both sides on a conference call. 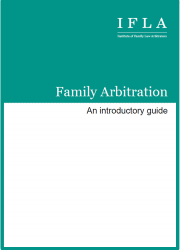 I am happy to provide information in writing to assist the clients discuss with their advisors whether to adopt arbitration in preference to the alternatives. 2012: Complex issues but scant assets … 8 directions hearings to finally heave the parties over the finishing line! 2013: Trust of Land / schedule 1 (university support) case, involving easements and 1996 FLA issues. Acted for one party with Oliver Gravell as arbitrator. 2013: A transfer from mediation, international pensions/ residence/ savings were involved and the period from signing the ARB1 to the issue of the award by mediator Gavin Smith was 7 weeks. 2015: A transfer from collaborative, requiring the fixing of one element in the deal. The case was conducted entirely on paper owing to the parties’ geography and preferences. A key issue was the parties’ election to waive privilege on the progress made in their collaborative negotiations so as to restrict the issue left for the arbitrator to resolve. Bereavement delayed conclusion of the award to 4 months. 2015: An arbitration in which I had the most visceral sense of the capacity of the process to heal relationships as the time given the parties in the initial meeting was effective in clearing the air as regards intentions and paved the way to co-operative disclosure which to that point had been scant. 2015: A young urban couple struggling with issues of pre-marital assets. Duncan Brooks as arbitrator was given power to adopt the Calderbank regime and made a costs award. 2015/16: A long marriage with complexity over [the unshare-able] foreign pensions. Process issues where one party seeks a hearing and the other does not. 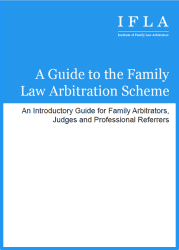 Section 57 Arbitration Act confirmatory award to further clarify 25 page initial award. 7 months to the issue of the first award largely through complexity around the obtaining of pensions reports… once available submissions, responses and award completed in 10 weeks. 2016: A long first meeting undertaken to explore the option of arbitration. One party sought it; the other only offered to enter the process on terms that were unacceptable and the process ended. 2016: Long marriage with 5 properties in two jurisdictions and off-shore pension assets, issues of earning capacity and duration and housing needs and “apples and pears” balancing between different asset classes. Delays to the provision of experts accountancy and pensions reports meant the process stretched to 7 months. 2017: Variation of maintenance case, in arbitration pursuant to agreement entered into by the parties when the first order was made. Work on peer-review scheme with Felicity Shedden, the fixed-fee scheme with Toby Hales and on One Plus One’s initiative. Instrumental in the development of parenting after parting and trained in direct child consultation.